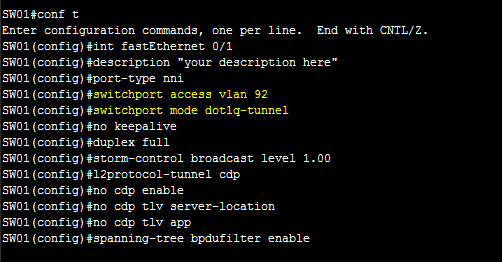 Today i will discuss how to Configuring Q-in-Q vlan tunnels in cisco switch. At first login your Switch then apply bellow command. Here i use FastEthernet 0/1 interface. N.B: Here 92=q-in-q VLAN id.